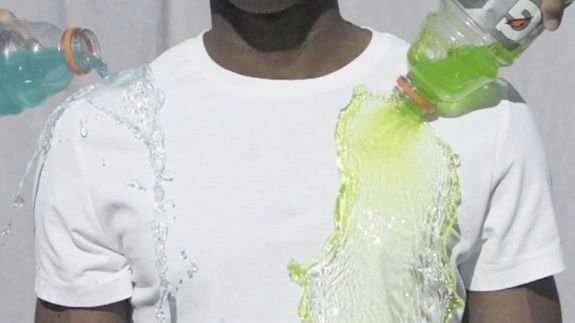 Silic: The Impossible-to-Stain T-Shirt - trendistic.com: ever tried. ever failed. no matter. try again. fail again. fail better. This causes the liquid to bead up into a 150 degree sphere and roll right off the shirt, avoiding unwanted stains.